Theory and applications of graph transformation; graph-based programming models; rewriting systems; theoretical computer science. 1987-1993 - Research Associate, University of Bremen, Germany. 1993-2000 - Assistant Professor, University of Bremen, Germany. 2000-2001 - Lecturer, University of York. 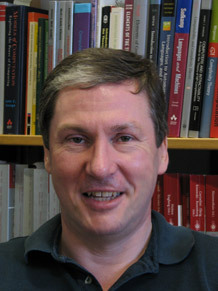 2001 to present - Senior Lecturer, University of York. Visiting Researcher at Heriot-Watt University (Edinburgh). Visiting Researcher at University of Nijmegen (The Netherlands) and Free University of Amsterdam (The Netherlands) for more than two years in total.